Clashes with Russian-backed rebels killed six Ukrainian soldiers on Thursday, officials said, in the bloodiest surge in fighting along the volatile frontline in recent months. 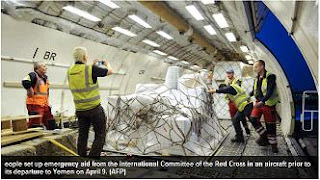 The world has got just three to four months to save millions of people in Yemen and Somalia from starvation, as drought and war wreck crops and block aid across the region, the International Committee of the Red Cross (ICRC) said on Wednesday. With the war in Syria headed for a sixth year, U.N. agencies on Tuesday appealed for $7.73 billion in funding to help 22.5 million people affected by the conflict. At least 30 people were killed and over 180 others wounded on Tuesday in a fresh rebel mortar attack against government-controlled areas in Syria's northern province of Aleppo, pan-Arab al-Mayadeen TV said. A growing number of Syrian refugee children are being pushed into the labor market to support their families and exploited, often in dangerous conditions, said a report released Thursday.